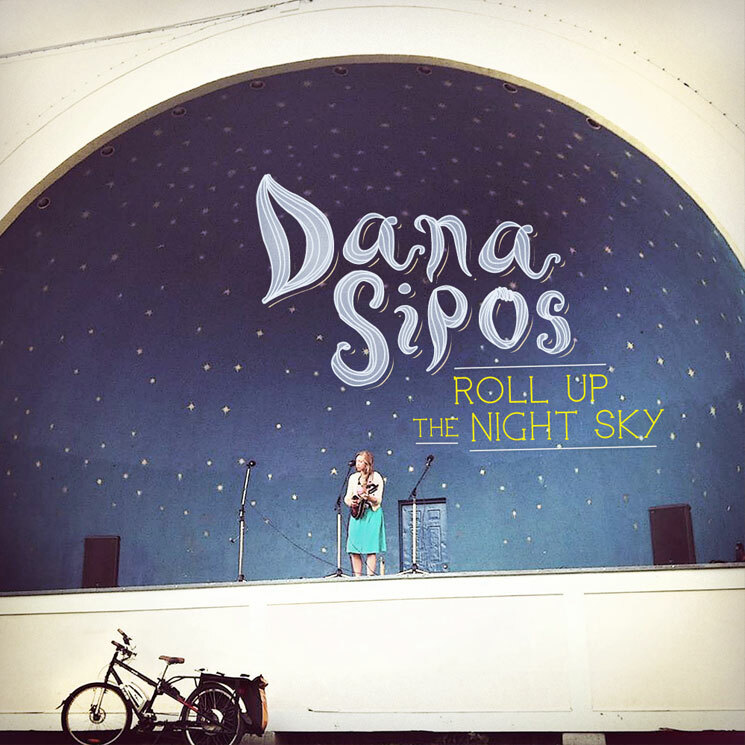 Songwriter Dana Sipos got her start in Yellowknife, but she's been nomadic in recent years. For her latest record, she hunkered down in Montreal, and the result is Roll Up the Night Sky, which will be out on Muddy Roots Music Recordings on April 30. The album was produced by Jordy Walker in the home studio belonging to Arcade Fire member Richard Reed Parry. During the sessions, Sipos was joined by contributing guests Michael Feuerstack (formerly known as Snailhouse), John Tielli (of the Hydrothermal Vents) and Pietro Amato (of Bell Orchestre and the Luyas). This is Sipos' third album. The cover artwork is above and the tracklist is below. At the bottom of the page, hear the newly premiered track "Portraits," with overlays tinkling acoustic arpeggios with sparse, haunting baroque-folk instrumentation. It's that slightly unsettled feeling you get walking through an old house and all the portraits are watching you and you feel their eyes on the back of your neck. Knowing all the secrets that live beneath the floorboards and in between the cracks but not knowing where to put them. That helpless feeling when you watch someone you love liquify from sadness and despair. Stripping away all the material that shields us and protects us and exposing ourselves to all the elements, physical, emotional, social, universal, as vulnerable as that is. I wrote in during my residency in Banff when the snow started to fly. Also below, see the songwriter's upcoming tour schedule, which includes a number of Quebec and Ontario dates this spring followed by a few U.S. shows. More dates will be announced in due course.